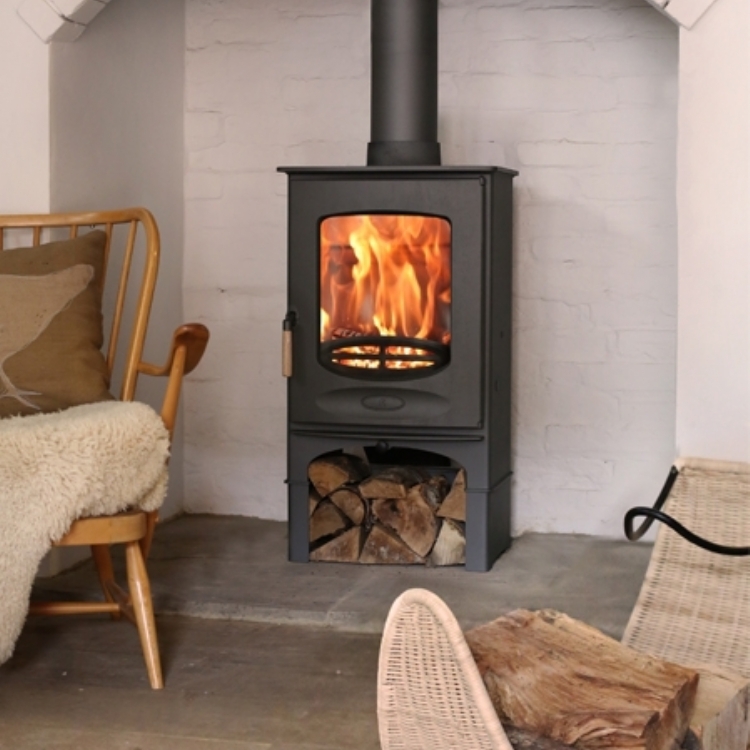 Charnwood C4 with log stand wood burning stove installation from Kernow Fires. ​The C4 with log stand works perfectly here. 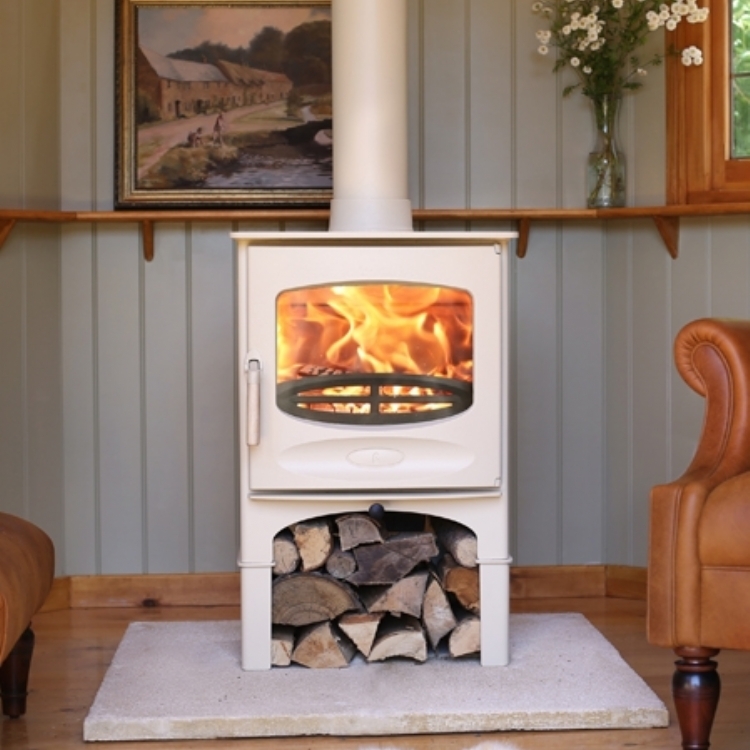 It's modern design fits well with the style of the house and produces 4kW of heat. 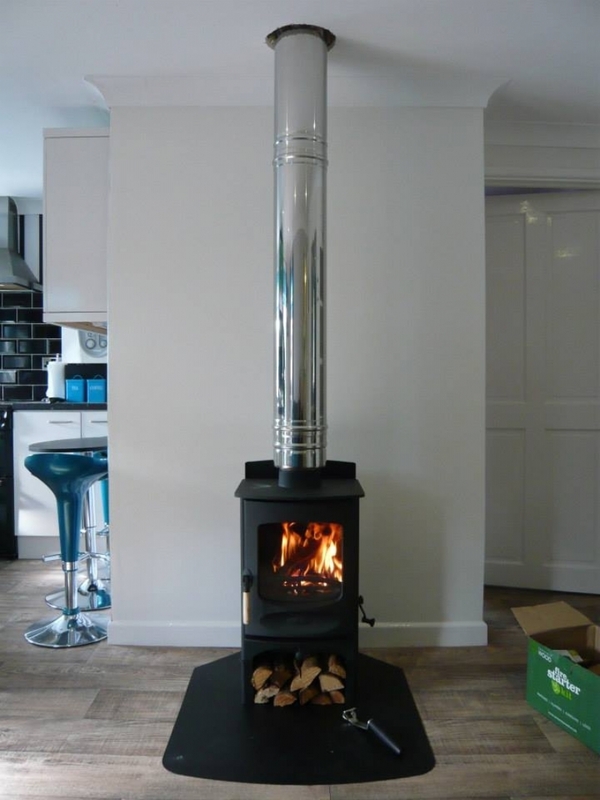 The twin wall flue is left steel here as requested by the clients but can be painted to match the fire.